Butler University has signed its second retail customer for the Sunset Avenue Parking Garage—a 1,400-square-foot Pita Pit franchise owned by 2003 Butler graduate Travis Sealls. Pita Pit, “a fresh, healthy alternative to fast food,” will open in late February or early March. The restaurant will seat approximately 20 inside and will have an outdoor patio that will accommodate 20-30. Sealls said Pita Pit will deliver on campus and the surrounding neighborhood. It will be open for lunch and dinner, and offer beer and wine. 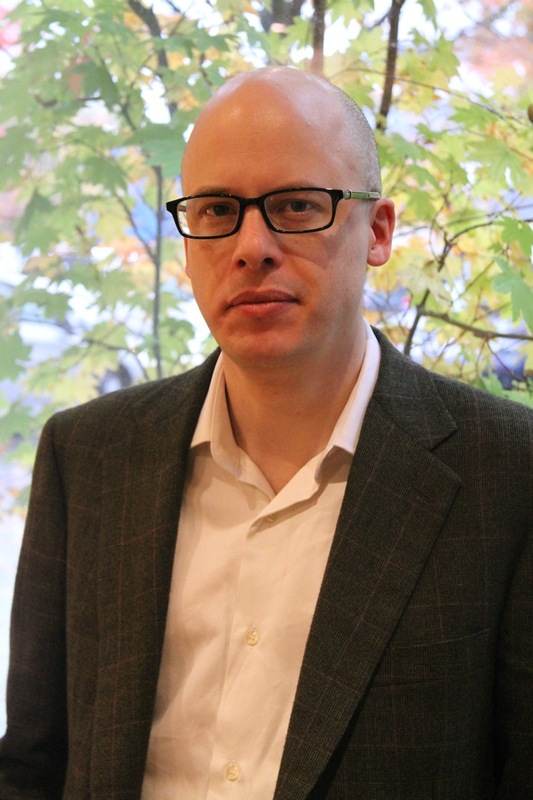 Sealls, whose degree is in Finance, got into the restaurant business after working as a budget analyst at the University of Albany (New York) while Whitney went to medical school at Albany Medical College. She is now in scientific communications for Eli Lilly and Co. They moved back to Indianapolis in 2008. Sealls has owned and operated the downtown Indianapolis Pita Pit store since 2009 and was the franchisee of the year in 2013. He also owns another restaurant, Punch Burger, which opened in Indianapolis in 2012 and expanded to Carmel in 2015. Butler’s new facility, which opened for parking in August, has 17,000 square feet of retail space on the first floor of the five-story structure, as well as 1,033 parking spaces. 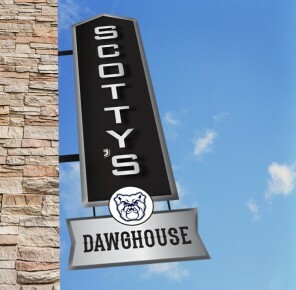 In August, the University announced that Scotty’s Dawghouse would be the anchor tenant in the garage, taking 6,400 square feet in the northeast corner of Sunset Avenue and Lake Road. Scotty’s is scheduled to open in February. Donna Hovey, Vice President, and Gordon Hendry, First Vice President, of CBRE’s Indianapolis office represent Butler University as the leasing agent. The new mixed-use retail and parking garage offers suite sizes ranging from 1,200 to 8,400 square feet, many with patio and outdoor dining options. For more information, visit http://www.cbre.us/butler-retail. Pita Pit started in Canada in 1995 and moved into the United States in 1999. Its U.S. headquarters are in Coeur D’Alene, Idaho. 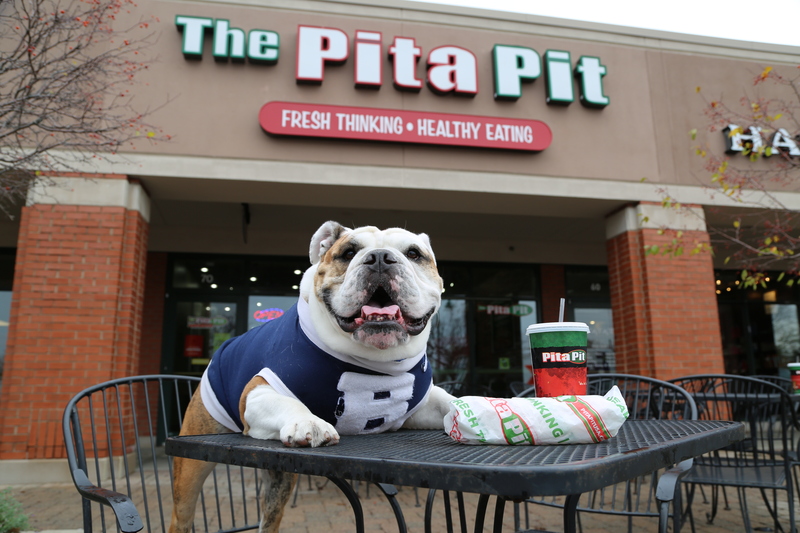 "We're excited to bring Pita Pit to campus,” Butler Director of External Relations Michael Kaltenmark said. “They are a perfect fit for Butler's new parking facility, both literally and figuratively. With the ability to occupy an ideal footprint of prominent storefront space along Sunset Avenue, Pita Pit provides the convenience, quality, and variety that Butler's students, faculty, staff, and neighbors have requested." 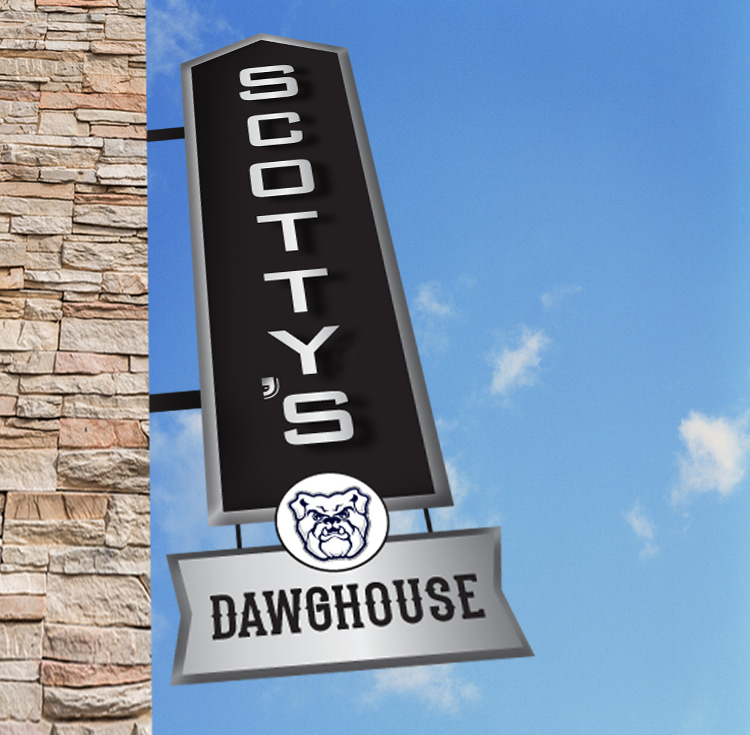 Scotty’s Dawghouse will be the anchor tenant in Butler University’s new Sunset Avenue Parking Garage, leasing 6,400 square feet in the northeast corner of Sunset Avenue and Lake Road. The new restaurant—its name is a twist on the more familiar Scotty’s Brewhouse—is scheduled to open in February 2016, with construction to begin in November. Scotty’s will serve lunch and dinner and seat 250-300 between its dining room and large outdoor patio. As with all Scotty’s locations, it is “all ages welcome” and family friendly. The new restaurant will be open seven days a week, from 11 a.m. to 11 p.m. (midnight on Fridays and Saturdays). University officials expect that Scotty’s will be open late following major arts and athletics events. Scotty’s Dawghouse will employ between 75-100 part time and full time positions. It will begin taking applications online in January 2016. Butler’s new facility, scheduled to open for parking in August, has 17,000 square feet of retail space on the first floor of the five-story structure, as well as 1,033 parking spaces. 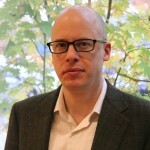 Kaltenmark said Butler is still actively working with other potential tenants. Scotty’s and the parking facility represent an important step in Butler’s ambitious plans for campus development. Last year, the University completed the renovation of Butler’s iconic Hinkle Fieldhouse. Just a block down Sunset Avenue’s newly enhanced streetscape, Butler and American Campus Communities are building a state-of-the-art housing facility, which is scheduled to welcome its first student residents in Fall 2016. Future development plans include additional phases of student housing development and renovation, and new academic space to house Butler’s science programs and College of Business. Donna Hovey, Vice President, and Gordon Hendry, First Vice President, from CBRE’s Indianapolis office represented Butler University as the leasing agent. The new mixed-use retail and parking garage being developed by Butler University offers suite sizes ranging from 1,200 to 8,400 square feet, many with patio and outdoor dining options. For more information, please visit http://www.cbre.us/butler-retail. Butler University is well represented in the new book 100 Things to Do in Indianapolis Before You Die. And not just because it’s written by Ashley Petry, who went to preschool at Butler, earned her MBA here in 2006, and is finishing her MFA in Creative Writing. Petry said that after getting the assignment from publisher Reedy Press, she began compiling a list of places to see and things to do in the areas of food and drink, culture and history, sports and recreation, shopping and fashion, and music and entertainment. About 80 of the 100 turned out to be things she’d already written about as a freelance travel and food writer for Conde Nast Traveler, Midwest Living, the Indianapolis Star, and other publications. Others were recommendations from friends. In doing the research, she took her first visits to the Indianapolis Motor Speedway Hall of Fame and Museum and duckpin bowling in Fountain Square. She also saw Crown Hill Cemetery as more than just a burial site. Petry spent last fall researching and writing the book. She said getting to be a tourist gave her a new appreciation for her hometown. The book 100 Things to Do in Indianapolis Before You Die is currently available online at Amazon.com and Barnes & Noble. The official release party is Friday, May 22, at 7:00 p.m. at Indy Reads Books. It is open to the public. 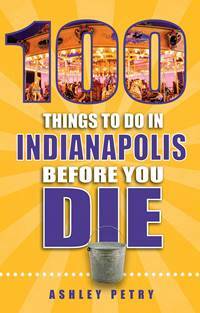 Petry will be signing books, and there will be an Indy trivia contest complete with prizes from the 100 Things list.